Dental Bleaching Before Adding Dental Crowns ? If you require dental crowns, talk to Dr. Jorge E. Larrondo at Larrondo Dentistry about how you feel about the color of your existing teeth surrounding the tooth or teeth where the crowns will be placed. 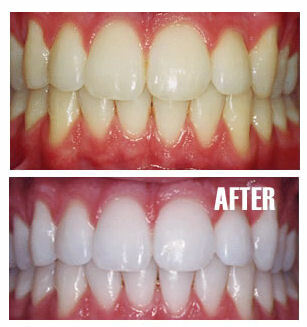 If you are satisfied with the color of these teeth, Dr. Larrondo will then select a color that matches the crowns. If you determine that they are dull looking or won’t match the crowns, teeth bleaching may be an option for you. If you feel you would like to whiten or lighten your teeth, ask Dr. Larrondo about options available for whiting those teeth before the final restorations are placed in your mouth. You want to make sure you do this before the final restorations are made; once the crowns are placed in your mouth, it will not be possible to change their color without redoing them. Larrondo Dentisty is located at 160 S. Santa Fe Street, Hemet, California. You are welcome to stop by and visit with Dr. Larrondo about the best options available for you. My team and I will make sure you are treated like family and feel right at home!